One thing I hear from a lot of motorcyclists is that they have been riding for some many years and do not need to practice any riding skills. This is just an ignorant statement to make and often fueled by ego and pride. I have seen veteran riders of twenty years; do the stupidest things on a motorcycle. Sure they have been riding for twenty years, but have they truly ever learned to really ride correctly with skill and confidence. 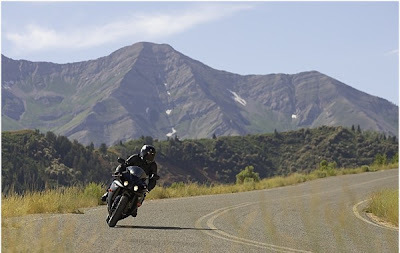 Sure some have the natural motor skills to perform well on a motorcycle but these refresher tips are there to make you more competent on your motorcycle while also boosting your ego since others will be impressed by your riding skills. Honest, you will be amazed how people notice a good competent rider. This lesson will discuss Limited-space maneuvers. Now you may think, what? 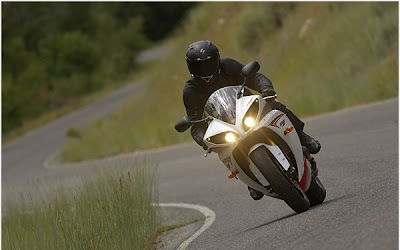 If I am going slow in a parking lot or driveway, why do I need to practice these types of motorcycle riding maneuvers? While not as dangerous as intersections or other road hazards, limited-space maneuvers, like parking areas, can be quite a challenge. Practice turning at low speeds, and do not forget to use the counterweight technique to help balance your motorcycle at slow speeds. This means to put more pressure on the outmost footrest, leaning the upper body outward opposite the turn. You can also move off the center of the seat, opposite from the turn, to improve balance and turning capability. The best-trained motorcyclists are Police Motormen. These motorcycle cops are trained to maneuver large police motorcycles at slow speeds in tight situations. Police Motormen practice doing U-turns within two marked parking spaces. Sounds easy right? Well it is not. Go out and try it one day. I guarantee it will take you 4 spaces or more to do a U-turn. Odds are some of you may even drop your bike. The trick is to use your clutch friction zone and rear brake to get the motorcycle to maneuver and handle at very slow speeds. By slow speeds I mean under 5MPH. Walking pace. Police need to do this all the time and they have the best riding techniques. The other key is to look where you want the motorcycle to go. If you look down while performing a tight figure eight or a U-turn, I guarantee you will go where you are looking – down. I initially practiced these techniques and was amazed at how difficult it was to turn your motorcycle around by performing a U-turn while trying to keep the turn within two parking spaces. It took me several hours over a few days to get the hang of it. Next I added in figure eights and slow crawl riding as if I were in a parade. As my skill improved with this technique and my rear brake and clutch were showing signs of wear, I become very confident that I could handle my motorcycle in tight situations. 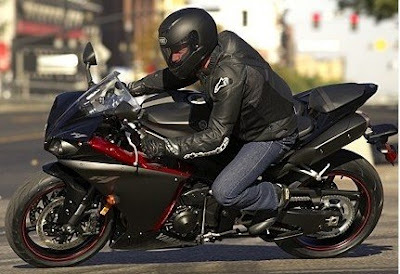 The benefits of practicing this riding technique are that you become more skilled with handling your motorcycle. If you find you are on a narrow country road, you will have the confidence to know that you can safely and skillfully perform a U-turn in the limited space provided. While attending motorcycle events where parking is at a premium, this slow speed practice will help you maneuver threw the crowded parking lot without smashing into and pedestrians or parked motorcycles. Again, I found myself using this skill set a lot. Other motorcyclists noticed my skill. They were amazed that I could maneuver a large Victory Kingpin in the limited spaces. Even when carrying a passenger. So dust off your motorcycle and dust of your stale riding techniques and hit the nearest vacant parking lot for some much needed practice. - If parking in a parallel parking space next to a curb, position the motorcycle at an angle with the rear wheel to the curb. 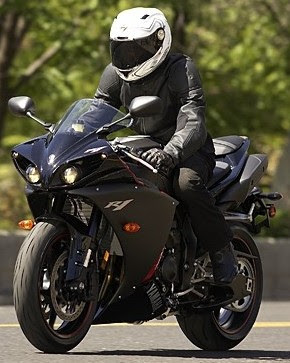 - If using the side stand, turn the handlebars to the left for added stability; lock the forks for security. - The feet on sides and center stands can sink into soft surfaces causing the motorcycle to fall. To prevent this, carry a flattened aluminum can or similar rigid object to put under the stand. 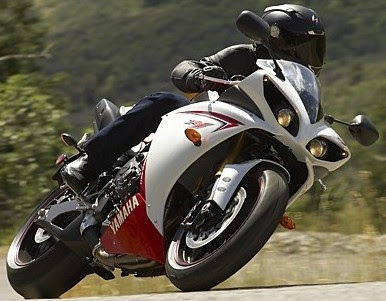 - Park the motorcycle in first gear for extra stability, particularly if on an incline. Aku dukung kampanye safety ridingmu sob. Trims juga dah mampir dan kasih komen di tempatku.